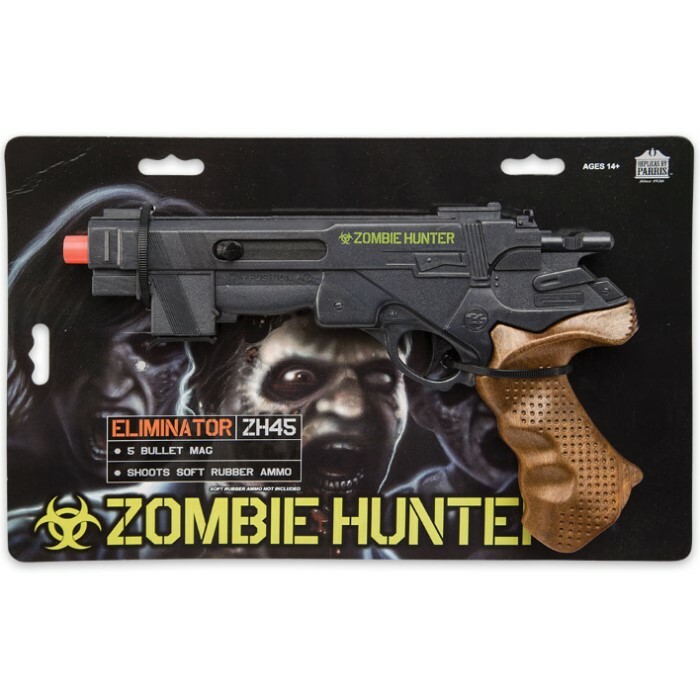 Zombie Hunter Toy Gun | BUDK.com - Knives & Swords At The Lowest Prices! 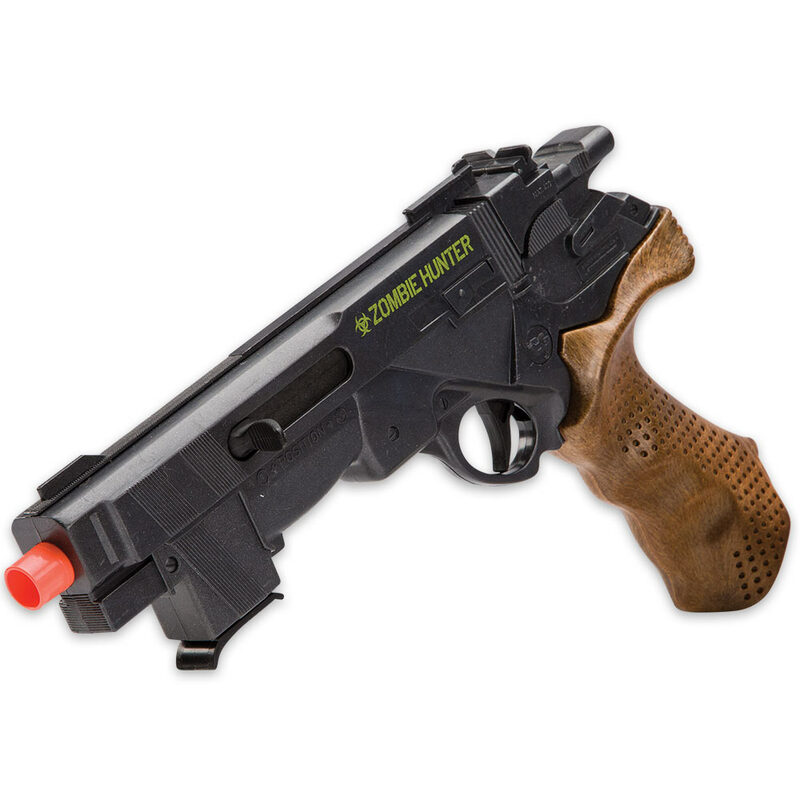 There’s no better way for your kids to practice for the Zombie Apocalypse than using the Zombie Hunter Toy Gun! They will be completely prepared to shoot rubber bullets up to 40 feet with a magazine that will hold up to six rubber bullets at a time. 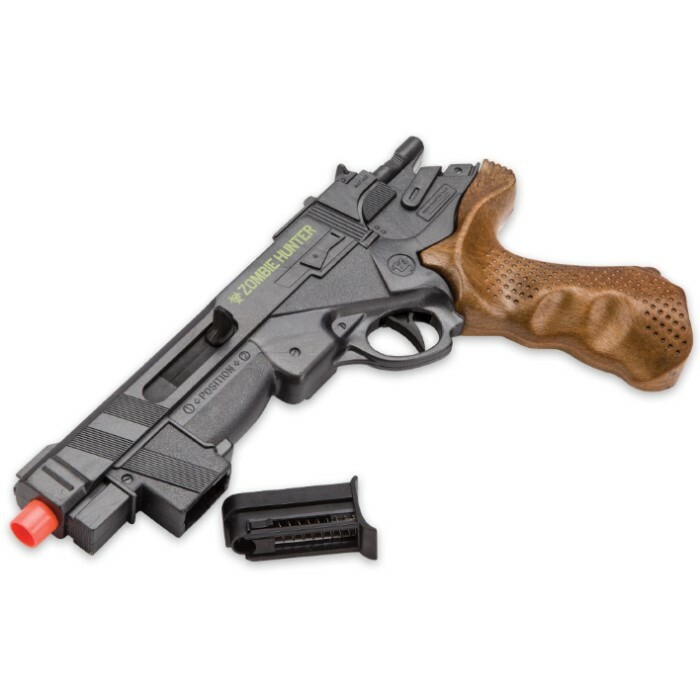 The toy gun is made of durable plastic and is 12” long.